Trichotillomania is a psychological disorder of pulling the hair. 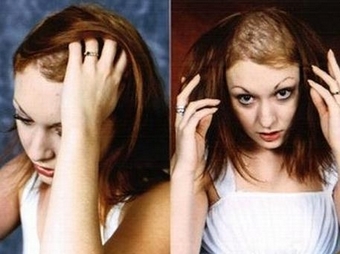 Trichotillomania is a mental disorder that the person is experiencing has an irresistible urge to pull out their hair. One of the visible result of this disorder is there is a noticeable hair loss in parts of the body that consist hair like scalp, eyelashes, and eyebrows. It’s an impulse control disorder where the individual has a failure to control the urges that they experiencing. People that have this disorder know that they will hurt themselves but they cannot control the urge of pulling the hair. The individual who has this disease is in distress and there is social or functional destruction. It is common in females than in males. The most common: frequent pulling of hair out on the scalp, eyebrows, eyelashes and other areas n the body that has hair. There is an urge to pull out their hair and you will see to them the satisfaction or feeling of relief after they pull out their hair. There is a patchy bald area in the part of the body that has hair. People who has this disease they also chew and eat the pulled hair. They also playing with their pulled hair. They rubbed their pulled hair across the face or body. Bowel blockage can occur if the person who has this disease eat the pulled out hair. These people constantly pull, tugged, and twist their hair. They deny their habit of hair pulling. Commonly sexual and physical abuse can cause and triggers the pulling out of hair. This behavioral theory states that stressful events like pressure from a family, moving from one place to another, or loss of a loved one can trigger the habit of pulling out of hair. In the different stressful situations, pulling out of hair begins in an attempt to relieve the feeling of tension that will continue beyond the stimulus until it will become habitual. As it will become a habit, the person will become unaware of trigger that will cause on having a trichotillomania. This biological theory states that there is imbalance in the serotonin level. The medical professionals give them certain drugs to correct the imbalance of serotonin level that is proven to improve symptoms of this disorder. There is also test that show that dopamine level also affects having this kind of disease. There are still no clear evidence if genetics has to do with this disease. It is also called the talking therapy that can be useful in treating this Trichollomania. It can help in treating emotional problems and mental health conditions. It can help individuals to address their thoughts about yourself, the kind of relationship you have with other people including your family and friends and how you can relate the world that surrounds you. In this type of therapy, it aims the person to change their behavior like hair pulling. In these 2 types of treatment it will educate you about your condition and how it will be treated. It will help you to become more aware when you will pull your hair out and it will help you to identify the reason or urges you feel during pulling out the hair. It will help you to have an alternative response especially when you are in stress to diverse your attention in pulling out your hair. For example, instead you pull out your hair you will clench your hand into a fist. Make or create barriers to the areas where an individual usually pulls out there hair. Having your family getting involved in your treatment that will praise you as well as discourage you from pulling out your hair. It can be used to individual to alter or change the state of consciousness that the hypnotist will suggest you that to change your behavior in pulling out your hair. While a person is in hypnosis, you may likely accept the suggested changes and will eventually stop pulling out your hair. Strategies that will help an individual to control the pulling out of hair. This treatment may include deep breathing exercises or exercises that will help to relax different muscles. Family therapy – If you have this disease, it is likely that you experience emotional stress that is your way to communicate your misery with your family and friends. In this situation, a therapist will communicate with you and your family to explore different views and relationships to help to understand the problems that exist in the family. This treatment will help family members to communicate with each other. There is still no specific medicines that will help to treat trichotillomania. There are two medications that are used to cure this disease to treat only specific symptoms that exist with this disease. Selective serotonin reuptake inhibitors (SSRIs) are known to treat depression and anxiety disorders. Clomipramine that are known to treat depressive or compulsive state of an individual.